Telemedicine is emerging as a most critical component of the healthcare crisis solution, increasingly being used as shorthand for remote electronic clinical consultation. The field of telemedicine has been changed drastically. Fifty years ago few hospitals started experimenting with telemedicine to reach patients in remote areas in order to improve healthcare facilities in underserved areas at lower cost. Due to rapid advancement in technology, it has been transformed into a complex integrated service used in hospitals, physician offices, homes, and different healthcare facilities. 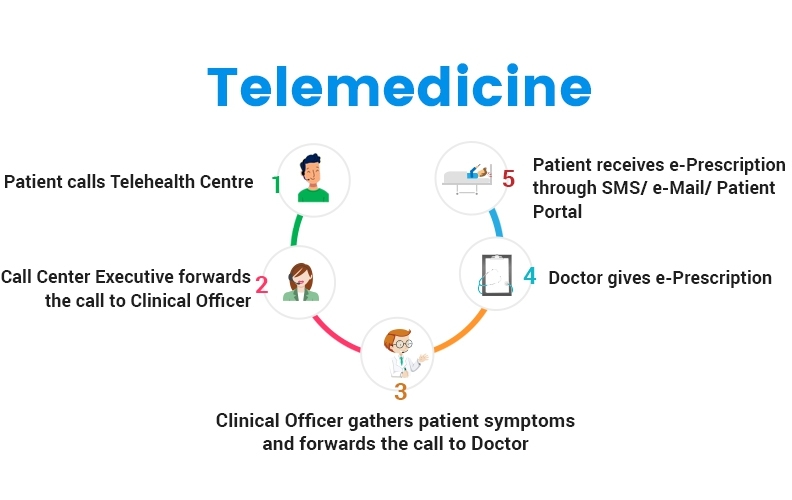 Telemedicine is a subset of telehealth, which includes both remote clinical service delivery and nonclinical elements of the healthcare system. More often eCare is as a synonym for telemedicine and it includes patient portals, electronic transmission of digital prototype, monitoring of vital signs remotely, wireless applications for consumers, call centers, continuing medical didactics, and other applications are among the services that are considered section of telehealth and telemedicine. Telemedicine is the interactive communication between a healthcare provider and patient, backed by audio and video equipment and integrated medical devices. Medical information is exchanged from one site via electronic communications by mean of telemedicine. 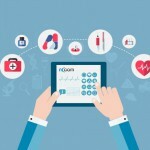 Developments in IT infrastructure, communication and connected medical devices enables clinicians to evaluate, diagnose and treat patients remotely. It includes variety of application and services using two-way video, email, smart phones, wireless tools etc. Telemedicine is allied with the term health information technology. It has been classified into three categories: remote patient monitoring, store-and-forward and interactive telemedicine. Remote patient monitoring allows monitoring of patients with chronic diseases in their homes by the use of mobile medical device. These devices collect data about blood sugar levels, blood pressure or other vital signs. In Store-and-forward services, patient health care data (like radiological files) is transferred via tele radiology services to physicians and radiologist. 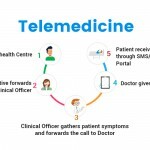 Interactive telemedicine allows physicians and patients to interact in real time, where patient can easily discuss the problem, can ask second opinion, can reconcile best possible alternative medicine as per the healthcare criterions, physician can share or discuss a case with his or her team via remote location. These sessions can be conducted in the patient’s home or in a nearby medical facility and include telephone conversations or the use of video conferencing software. In developing countries, it allows healthcare facilities to population through relatively low cost clinics. Telemedicine provide assistance to basic clinics to consult with the specialist locate anywhere in the world rather than build and staff large number of facilities. Telemedicine is exerting its influence on mobile health as well. The Mobile Telemedicine Clinic (MTC) travels across the state to deliver health care in rural and underserved areas. They have a wide range of medical needs to be address. Telemedicine benefits them to quickly “dial in” a remote physician to consult healthcare matter at hand. It delivers quick healthcare services at the time of disaster relief. It allows access to on-site healthcare providers through the use of real time patient assessment technologies. Health outcomes has been improved by telemedicine. Telehealth supported Intensive care units have low mortality rates and hospital stays than the patients diagnosed earlier. Telemedicine empowers chronic patients who are less mobile. It provides continuous monitoring by their healthcare providers, identifies early symptoms and respond to their illness. The following examples of telehealth services may be beneficial for health care. Like in patient portal the primary care clinic may have an online patient portal. These portals offer an alternative to email that is comparatively insecure means to communicate about private medical information. Through this patient can communicate with doctor or a nurse, request prescription refills, review test results and summaries of previous visits and schedule appointments. Some clinics also provide virtual appointments that enable you to see your doctor or a nurse via online videoconferencing. An electronic personal health record system also known as PHR system. 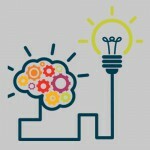 PHR app is easily accessible via web-enabled devices, such as computer, laptop, tablet and smart phones. By providing second opinions more easily and faster, it can also make the patient and physician experience better. Telemedicine provide opportunities to make health care more efficient, better coordinated and closer to home. It is most promising method to prevent death and improves functional recovery and it is considered as viable option in future healthcare delivery. Finally, it produces improved health outcomes, which should be the primary goal of all health services. An efficient telemedicine system provides quality care at low cost in comparison with regular care.